Municipal Facilities Management & Planning services | Cascade Facilities Management Consultants Ltd.
Cascade offers municipalities an asset management approach to public facilities including an updated building audit, identification of deficiencies with timelines and costs for corrective action, and consultation with your building occupants and users to determine space needs best suited to programs being accommodated. 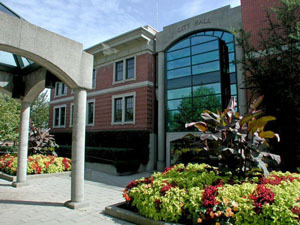 The resulting Facilities Plan helps Council to rationalize long-term capital needs and budgets. In 2011 and 2012 we provided this service to the City of Nelson, the Regional District of Peace River, and the City of Port Coquitlam. In 2018, we are developing a Facilities Master Plan for the District of Mission. Under our Services – Facilities Organization Analysis capability (click here) we can also examine your municipal organization dedicated to city facility management and maintenance to see if it is as effective as possible.